The Yangtze is the third longest river in the world and flows through the People&apos;s Republic of China, although it is only navigable for about 2800 km of its total length. It rises in the glacial valley of the Gangjajubu glacier and discharges into the East China Sea north of Shanghai after a journey of some 6380 km. 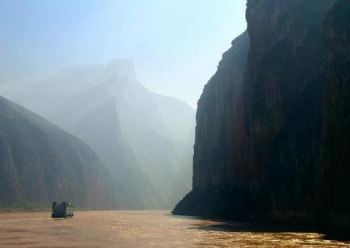 The best times for a Yangtze River Cruise are the spring and autumn months. impresses, among other things, with the world&apos;s longest suspension bridge, the Nanpu Bridge, which is 8346 m long. Whereas in the city district of Pudong you are confronted with an impressive modern skyline, along the Shanghai Bund you will come across a great many historical buildings such as the former British Consulate. Just as impressive is the Chinese mega-city of Chongqing. This economic metropolis also successfully reconciles tradition and modernity. Worth visiting, for example, are the centuries-old temple of Luohan Si and the funicular railway stations, to name but a few. Close by you will find the Three Gorges Dam, one of the world&apos;s largest dams. At 185 m in height and more than 2 km in length, it presents a breathtaking spectacle. If your Yangtze River Cruise should take you to the ghost city of Fengdu, you will have the opportunity of enjoying the beauty of the famous Snow Jade Caves with their mystical flair. The city of Nanjing, which impresses with its history stretching back over 2000 years, can also not be described as small. Visits to the Ya-tsen Mausoleum or the hill tombs of the Ming emperors will bring you face-to-face with its history.